Welcome to one of London’s most compelling places on the Thames; rich with natural, cultural and built heritage. 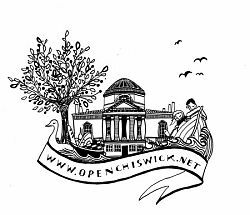 Open Chiswick is about further revealing Chiswick’s remarkable natural, cultural and built heritage to both residents and visitors. Throughout September there is a calendar full of events andÂ activities thatÂ are suitable for all members of the family. In addition to the 2010 programme of events, this website also contains a wide range of current and historical information on and about Chiswick. Use the links on the left to learn more about the Open Chiswick festival, or learn more about the Thames Strategy – Kew to Chelsea, our coordinating organisation, using the navigation above.